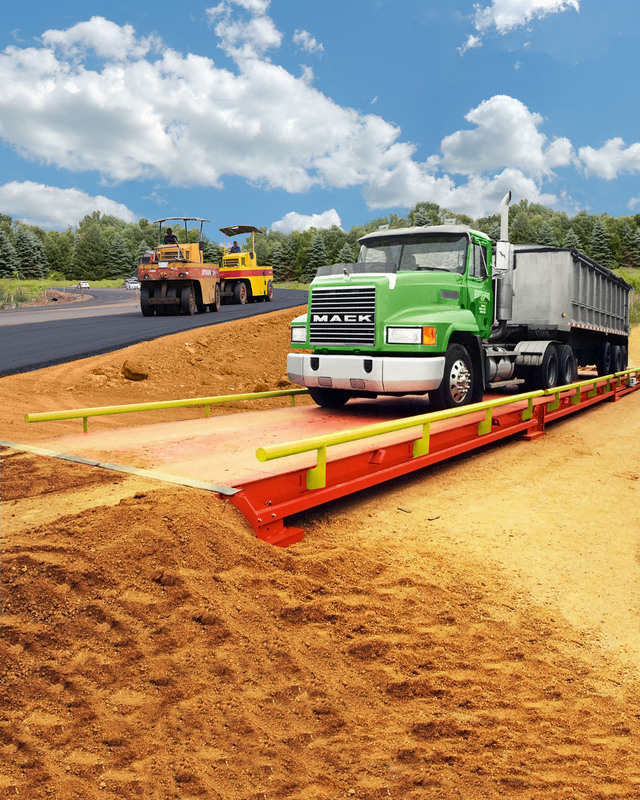 A high-capacity portable truck scale that is modular for easy installation, expansion, and relocation during highway construction projects is available from Alliance Scale, Inc. of Canton, Massachusetts. The Alliance Portable Truck Scale features Rice Lake’s Survivor ATV Series pre-assembled steel deck modules which provide a 100,000 lb. concentrated load capacity and are offered in several sizes. Easy to install, expand, and relocate, the self-contained steel decks incorporate self-seating hinge connectors and can be supplied with a variety of digital weight indicators including models that can store up to 1,000 truck ID’s and truck tares. Designed for site-to-site relocation, the Alliance Portable Truck Scale’s load cells and electronics are all accessible through the steels decks and ramps can made by simply backfilling to the bulkheads, although steel ramps and approaches are optional. Offered with steel decks in 10’ to 80’ lengths and NTEP certified widths to 16.5’, these portable scales have a span deflection ratio of 1:1100 for legal highway loads. The Alliance Portable Truck Scale is priced from $32,000.00 up for a 30’ module. Literature and pricing are available upon request.